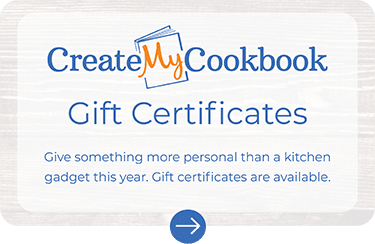 CreateMyCookbook calculates shipping costs based on each order. Because we can accurately predict how much your book weighs based on number of books, number of pages, and binding style, we do not list fixed shipping rates. This helps us keep costs to a minimal and allows us to price more fairly. Use the calculator to determine how long it will take to receive your book(s) once your order is placed. Please be sure to allow for holidays and weekends as all days are not business days. We’re sorry, but at this time, we cannot accept rush orders. Orders of more than 20 books may require additional processing time. International shipping is availible through U.S.P.S.